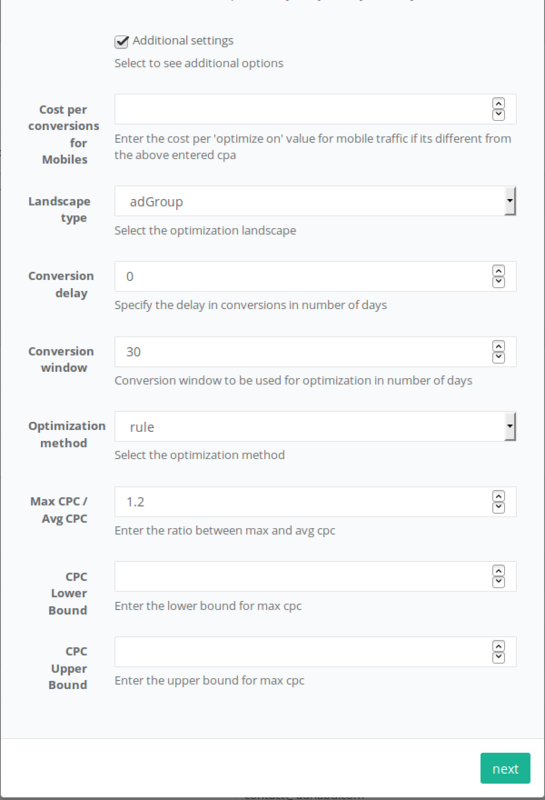 How can i cap or limit the Max CPC bid in bid optimization by AdNabu? You can configure an upper / lower limit while running bid optimization via AdNabu. This is available in the additional settings of bid optimization step 1. For eg : if a user does not want to pay more than 10$ in any case, he/she can set CPC Upper Bound as 10.